"Several years after disaster was narrowly averted on Dinosaur Planet, Lylat Central Command detects a new threat spreading throughout the galaxy. 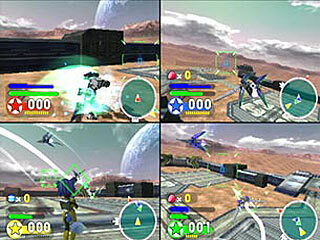 The Star Fox team is sent in to eradicate this growing menace, but what begins as a standard combat mission quickly takes a dramatic turn. 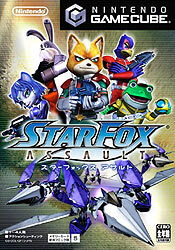 Legendary team members Fox McCloud, Slippy Toad, Peppy Hare, and Falco Lombardi join forces to form the most formidable team in the history of this celebrated series: the Star Fox Armada! 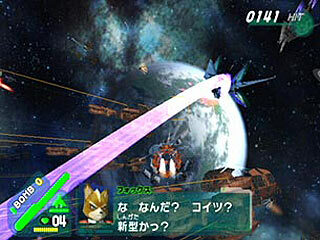 Star Fox returns Fox McCloud to his space ace roots in this classic aerial shooter reminiscent of the beloved Star Fox 64. Get ready for an unforgettable romp through the galaxy." 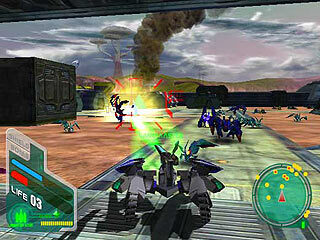 - Powerful weapons including automatic blasters, sniper rifles, and shoulder-launched rockets"
StarFox Assault is amazing!! 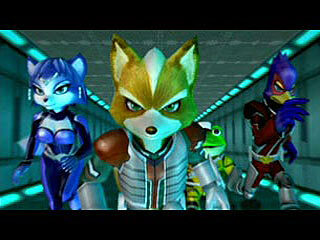 My favourite characters are Fox, Falco and Krystal. My most favourite is Krystal. 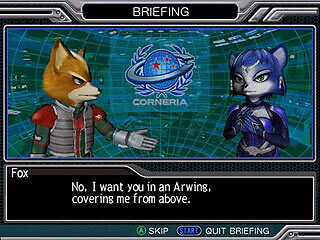 She looks really pretty in StarFox Adventures and Fox really likes her. Not only was this game stunning in terms of mech design (Arwings, Great Fox, the aparoids etc), and gameplay, but it was absolutely amazing when you hear the old familiar tunes of StarFox64...PLAYED BY AN ORCHESTRA. This game sounds like an epic sci fi movie, and it is fantastic! DUDE! 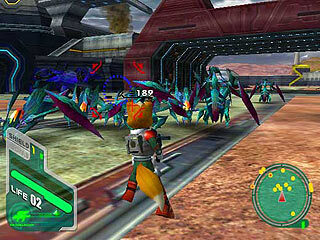 The way Fox looked in the Starfox Assault game, he looked extremely scary!! I liked the one from Super Smash Bros. Melee he looks alot better. AWESOME!!! Starfox games are my most favourite but I wished there were some other unlockables like maybe the magical staff included. But overall this game is one of the best in my opinion. 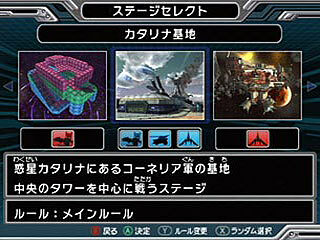 It's a good game and is great for multipayer but is also too short but you can play for hours tring to get a hi-score. 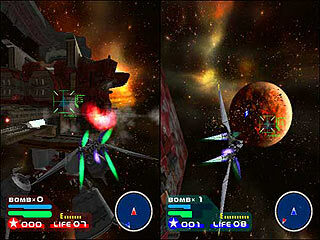 Starfox is one of my favorite game series and I was extremely excited to hear starfox Assault coming out. I played it for hours! 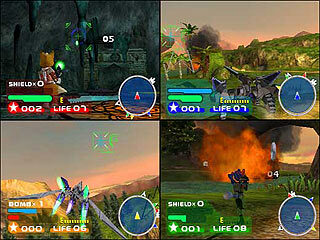 Like all Starfox games, it was AWESOME! Starfox Assault was a great game but so short, I've completed on bronze and silver levels, I've even recorded the cut scenes on DVD. 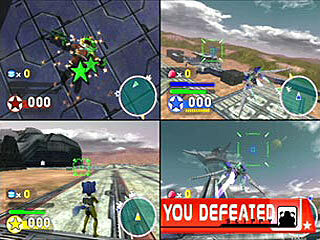 I'm a big Star Fox fan and in a way it's the best Star Fox game i've played but at the same time i was disappointed at how easy and short it was, I felt really let down. I never played Star Fox Adventures and don't plan to but when I saw the advertisment for this game I knew I had to have it, I thought it could have been a bit longer and harder though.